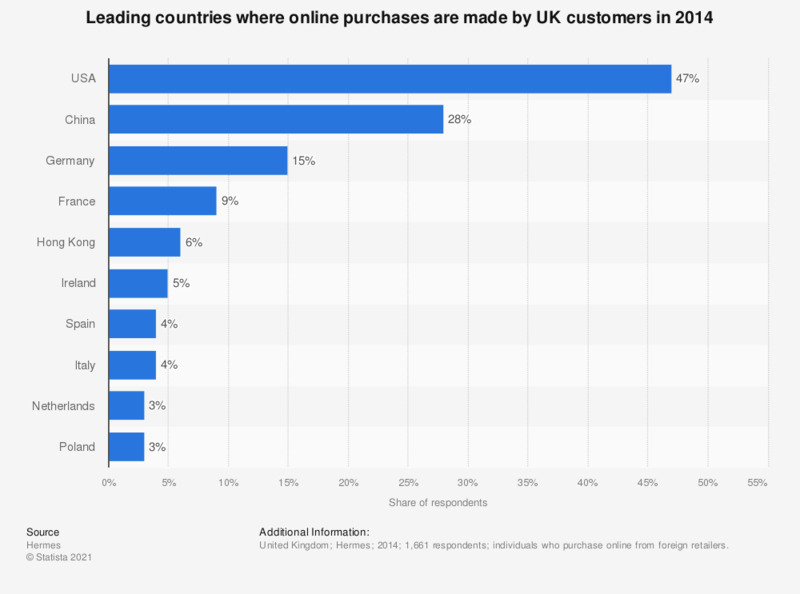 This statistic displays the leading countries where online purchases are made by UK customers in 2014. During the survey period, it was found that 28 percent of respondents stated that they had made such purchases in China. individuals who purchase online from foreign retailers. * The source adds the following information: "Other mentions 2% or less"